Hospital staff in Hull will be taking part in a national project designed to improve the quality of care for bereaved parents. The National Bereavement Care Pathway (NBCP), which has the support of the Department of Health, has been developed to improve the quality of bereavement care experienced by parents and families at all stages of pregnancy and baby loss up to 12 months. 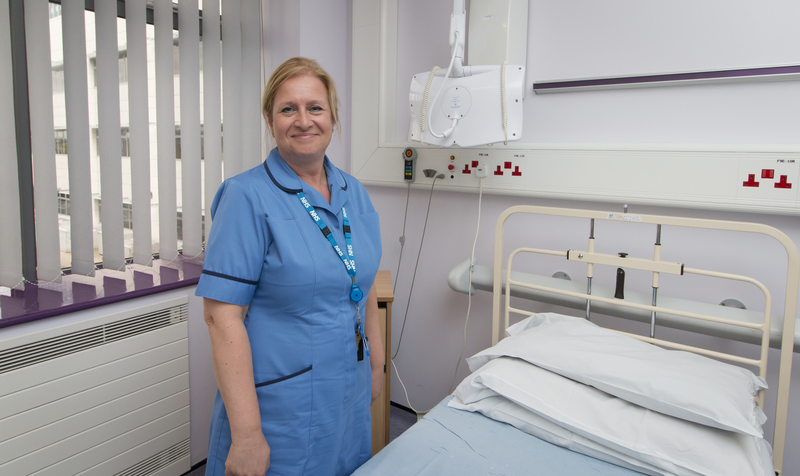 Hull University Teaching Hospitals NHS Trust is one of just 11 organisations across the country to be chosen to trial the NBCP; designed to cover the whole parental journey and their contact with hospital professionals. It is set to include new materials, guidelines, and training for staff to improve the care they offer, such as training in how to talk to bereaved parents and the kind of facilities which should be available for them. From October, staff including midwives, gynaecology nurses, paediatric nurses, obstetricians and paediatricians will begin working with the NBCP project team to understand the impact and the effectiveness of the new pathway for parents who have lost a young child. The Trust was selected by a Core Group* of charities and professional bodies who are leading the NBCP, including SANDS (the Stillbirth and Neonatal Death charity), the Royal College of Midwives, and The Miscarriage Association. “Losing a child is an incredibly difficult experience and something that no parent should ever have to go through. If they do, however, it’s important that we as health professionals are able to provide the right advice, information and support for bereaved parents. “The quality of care and the empathy shown to parents at a time when they are struggling with a whole range of different emotions is crucial, and our role in guiding bereaved parents through this difficult time is not to be underestimated. How we care for bereaved families when their baby dies can have long-lasting effects; good care cannot remove parents’ pain and grief, but it can help them through a devastating experience. “I am delighted that we have so many enthusiastic partners across the country who want to work with us in improving bereavement care for those parents when a baby dies. The 11 sites were chosen as they are representative of geography, capacity and specialism. Hospital staff are about to embark on training in the NBCP before the pilot begins locally in October. A second wave of pilot sites is planned for April of 2018, ahead of a wider national roll out in October 2018.